It’s been a gruelling few days for these two teams, coming into this game on the back of two defeats in a row. The last thing you want at this stage is to play another game but with Olympic Qualification places up for grabs in the 2015 EuroBasket event, both of these sides will be back out on the court today in the build-up to the second semi-final which takes place later in the evening. Of course, these two teams are only here because they both lost on Thursday, with the games being tough at times for both of the losing sides. At one point in the third quarter. Latvia held a 15 point lead, but they still managed to throw this one away, eventually losing by 7 points. You have to feel for the Latvians whose tournament has crumbled around them in the past few days and you have to wonder what sort of shape they’ll be in for this one. They could bounce back, determined to head out of the tournament on a high but you wouldn’t be surprised if they spend the day licking their wounds and dreaming of a flight home. Greece took fifth place in the tournament with this victory. Things were tight at the interval in the Czech Republic and Italy game, only four points seperated the teams, but then Italy took a firm grip on proceedings and powered home in this game. 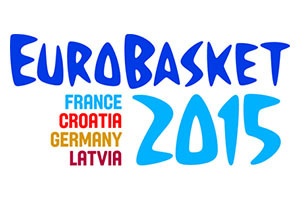 The win sees Italy taking 6th place in the 2015 EuroBasket but the losing side needs to battle it out again on Friday. Jan Vesely was on great form agaoin for the Czech Republic against Italy, clinching a double-double with 26 points and 12 rebounds. Both of these teams have already met in the 2015 EuroBasket, and it was the Latvians who won that game, triumphing by a score of 72-65. Whether that has any influence over this game remains to be seen as both teams will be in a very different mental state for this match. You can find the Czech Republic at -2.5 at odds of 1.80 for this game. If you are interested in the Over/Under market, be sure to go UNDER 153.5 at odds of 1.80. Bet Now! While most of the preview is about looking forward, there is a slight need to look back at the first semi-final in the 2015 EuroBasket event. France and Spain served up an epic match on Wednesday and you can say that the Spanish side got their revenge for the events of last summer. In the summer of 2014, France rolled up to the FIBA World Cup and knocked the hosts out of the tournament. In the summer of 2015, Spain returned the favour in Lille by edging past France on their way to the final. As has been the case throughout the tournament, Pau Gasol pulled the strings for the Spanish and the NBA star had a monumental night. He managed to grab 40 points and 11 rebounds as Spain showed that they have the mental strength required to stand up to their opponents. This was a game that went to overtime and the ending was rather dramatic. Gasol made the score 78-75 to Spain with 18 seconds left on the clock and then Nicolas Batum was fouled by Victor Claver just as he getting ready to pull out a three point shot. To the astonishment of the crowd, Batum missed all of the free throw shots. It was Batum who took the game into OT with a three-pointer with just 13 seconds left of regulation time but these three misses were costly. Spain grabbed the rebound on the final miss and broke up the court where Gasol dunked and put the game beyond reach. Both of these teams will be back in action on Saturday but France play for the Bronze medal while Spain will play in the final.